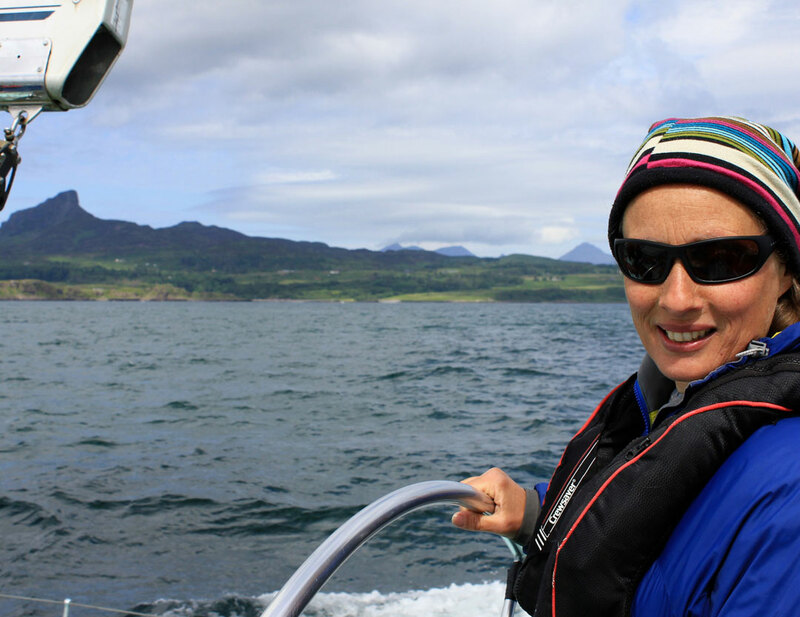 Skipper Celia Bull is an experienced yachtswoman and climber who began sailing in the late 90s when she joined a 10 metre yacht in Greenland. Entranced by the wildness of the high latitudes, she crewed on a charter boat, working out of the Falkland Islands, and visited South Georgia and Antarctica during film work with the BBC’s Blue Planet team. Following this unique, edifying experience, she bought her own boat, Ada II, and returned to the South Atlantic. For five years, Celia sailed with expeditions and charters in Patagonia and South Georgia and led an all female trip to Antarctica. Celia lived and sailed with her baby son Dylan on Ada II before settling down for a few years in Chile. When Dylan was three, she found and bought Selkie in Croatia. Selkie became their home, and they worked their way back to the UK and up to the Isle of Eigg, where they now live and run a croft as well as Selkie Explorers. Camille Dressler has been living on Eigg for over 30 years and is our local historian, having written Eigg: The Story of an Island. Camille is an amazing chef and comes along for our luxury trips, cooking up a storm. Also as an experienced Qigong practitioner, she is very much involved with our wellbeing trips. This season we’re very excited to be working with 22-year-old University of the Highlands and Islands graduate Angus Jenkins. 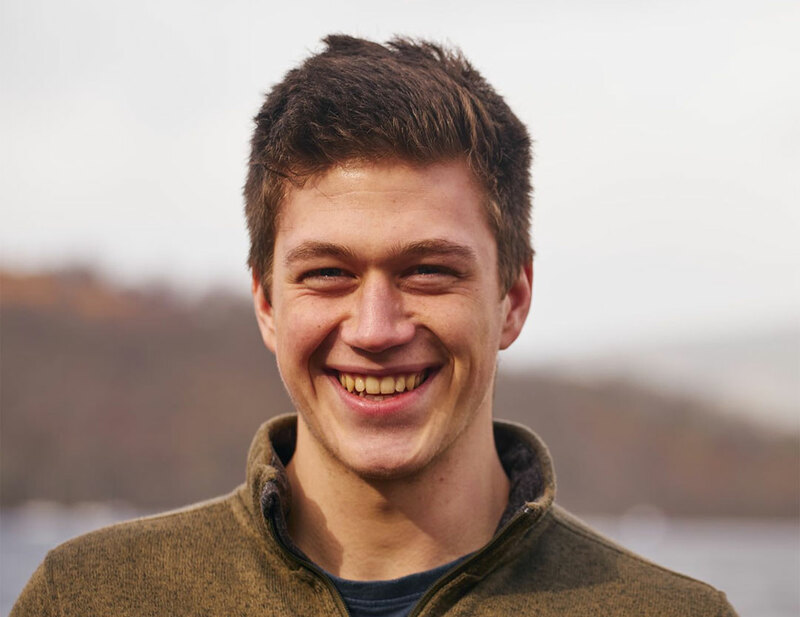 Selkie Explorers has been working in close conjunction with UHI’s International School of Adventure in Fort William working towards setting up an intern placement, and Angus is the first graduate from the school to join us. He’s not only bringing what he’s learnt on the BA (Hons) Marine and Coastal Tourism course to the Selkie Explorers team but a great passion for the sea as well. We’ve had some wonderful helpers aboard Selkie over the years. 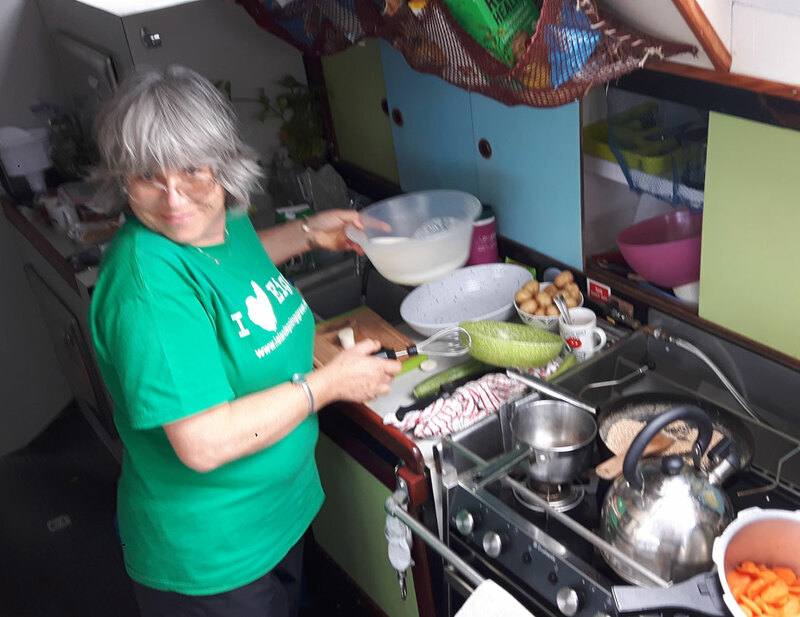 Many thanks to Cori, Lauri, Roman, Sonia, Dioni, Jarda, Alecia, Olivia, Martin, Adrian and Bastian – all of you marvellously skilled and playing a crucial supporting role both onboard Selkie and at the croft, where much of what our guests eat is grown. If you’re interested in volunteering, get intouch to see if we have any availability.